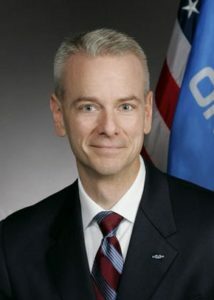 WASHINGTON — Steve Russell, who served as a U.S. Army officer to help capture the Iraqi dictator Saddam Hussein, is running for Congress in the state of Oklahoma. Reuters reported that Russell, author of the book “We Got Him: A Memoir of the Hunt and Capture of Saddam Hussein,” is running for the state’s 5th congressional district seat. He is trying to replace James Lankford, who is leaving the congressional seat to run for the U.S. Senate. Russell has previously served in the state senate and is not seeking re-election in that capacity.